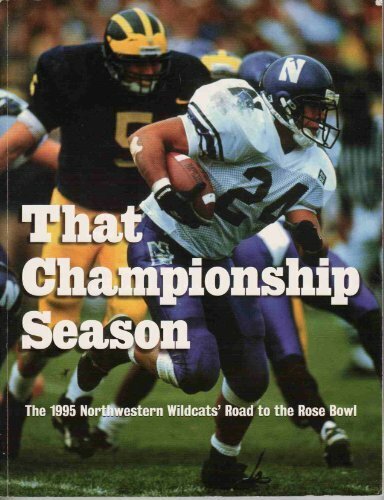 THAT CHAMPIONSHIP SEASON: THE 1995 NORTHWESTERN WILDCATS' ROAD TO THE ROSE BOWL. The Cinderella story of the Northwestern University Wildcats' triumphant rise from Big Ten doormat to league champion in one season, 1995. Written by some of America's finest sportswriters &amp; illustrated with more than 120 color &amp; black &amp; white photos, THAT CHAMPIONSHIP SEASON is an inspiring tale, one which ABC-TV college football analyst Bob Griese calls &quot;one of the greatest stories in the history of sports.&quot; Introduction by legendary Northwestern &amp; NFL football star Otto Graham.